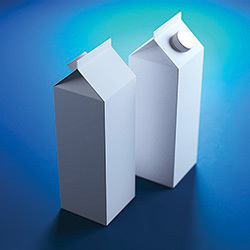 Designed for use in indirect food contact applications, these four low-migration (LM) acrylate monomers and oligomers comply with Swiss Ordinance, Nestlé Guidance Notes on Packaging Inks, and European Printing Ink Association (EuPIA) regulatory guidelines, as well as Registration, Evaluation, Authorisation and Restriction of Chemicals (REACH) and Toxic Substances Control Act (TSCA) requirements. The materials boast flexibility, hardness, and chemical resistance, and they can be cured by ultraviolet (UV), electron beam (EB), or LED systems. LM5301 acrylic monomer has a viscosity of 80–110 MPa-sec, a maximum color of 75 on the Pt/Co scale, a maximum solvent content of 0.05%, and a maximum acidity of 0.05%. LM5302 is an ethoxylated trimethylolpropane acrylate with a viscosity of 60–80 MPa-sec at 25°C, a maximum color of 75 on the Pt/Co scale, a maximum solvent content of 0.02%, and a maximum acidity of 0.02%. A high-purity acrylic monomer designed for use as a reactive diluent in UV- and EB-curing applications, LM5401 has a viscosity of 150–220 MPa-sec at 25°C, a maximum color of 100 on the Pt/Co scale, a maximum solvent content of 0.02%, and a maximum acidity of 0.02%. LM7401, a high-purity acrylated amine synergist for use in UV- and EB-curing compositions, has a viscosity of 60–90 MPa-sec at 25°C, a color measurement of less than 4 on the Gardner scale, an amine value of 190–2,200 mg KOH/g, a solvent content of less than 0.02%, and an acid value of less than 0.6 mg KOH/g. 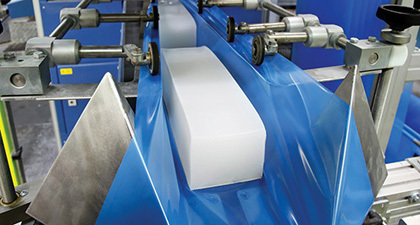 The LEXAN MARGARD FHC10 sheet complies with the stringent visibility, strength, and abrasion-resistance requirements of the Economic Commission for Europe of the United Nations Regulation No. 43 (ECE R43). The material features an impact-resistant polycarbonate base with high optical quality, and a malleable hard coating that is precured to allow processing similar to that of typical polycarbonate sheets. 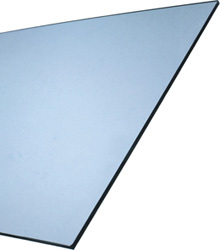 The sheet can be used to create simple, curved glazing designs, and is available in 3–5-mm gauges. The silicone-based hard coating is formed by a dual thermal curing process, which ensures adhesion even after exposure to temperature cycling, water, and humidity. The sheet is resistant to common chemicals, weathering, and ultraviolet (UV) light. Baeropol DRS 6812 antioxidant is soluble and optimizes hydrolytic stability for consistent polymer performance. It can directly replace phosphites as a 1:1 drop-in substitute, act as a synergist to reduce the loading of phosphites to improve properties, and is flexible. 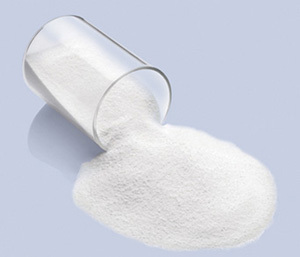 The material can enable the use of lower-cost phosphites or antacids while maintaining desired performance. The antioxidant improves melt stability in polyolefin resins and compounds, as well as polymer color and processing consistency, compared to standard phosphites. It enhances final product performance by extending useful polymer life. Baeropol RST chemistry is suitable for generally recognized as safe (GRAS) applications, making it applicable for indirect food contact. It is Registration, Evaluation, Authorisation and Restriction of Chemicals (REACH) registered. The additive is available in a variety of physical forms, such as pastilles and sprayed prills that are easy to disperse and free-flowing. It is suitable for food packaging and regrind stabilization applications. 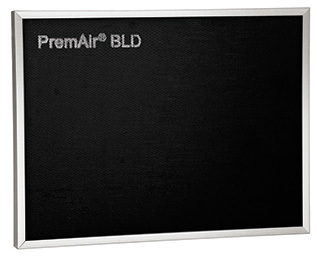 The PremAir BLD catalyst rapidly removes ozone at room temperatures with a high conversion efficiency. It maintains performance over a long period of time, which reduces the costs associated with frequent filter changes. It operates between 10°C and 35°C at relative humidities up to 90%, and has a conversion rate of up to 99% in environments with ozone concentrations less than 800 ppb. The catalyst is available in three versions — the PremAir BLD C, the PremAir BLD F, and the PremAir BLD X. The C version has a honeycomb format and a thickness of 20–55 mm, and it produces a low pressure drop (3–10 Pa). The F version is a foam, 5–25 mm thick, and flexible, with a high efficiency and a pressure drop between 6 Pa and 50 Pa. The X version is an extrudate, 2–4 mm thick, long lasting, and suitable for mixing with other pellets, and has a pressure drop of 10–100 Pa. All three versions are available in a variety of sizes and shapes that are easily customized for various portable or large-scale air purifiers, heating, ventilating, and air conditioning (HVAC) systems, and other types of ventilation or air-handling systems. The catalyst can be used alongside the Formaldpure catalyst, which removes formaldehyde; together the two catalysts provide a method to remove both ozone and formaldehyde from indoor environments. The ELASTOSIL R Plus 4001 line of addition-curing (i.e., they begin curing upon the addition of a catalyst) solid silicone rubbers cure up to 50% faster than comparable peroxide-curing rubbers, allowing processors to achieve short cycle times and high production throughputs. The polymers and fillers undergo high-temperature vulcanization (HTV) or room-temperature vulcanization (RTV) with suitable reactants, which transforms the uncured compound (which is in a plastic state) into an elastomeric rubber with a three-dimensional structure. The rubbers are heat-resistant, flexible at low temperatures, and resistant to ultraviolet (UV)-, ozone-, and radiation-induced aging and processing. The cured products are elastic and deformable, and they have good mechanical properties that remain unchanged over a wide temperature range for many years. The ELASTOSIL R Plus 4001/30 is an extremely soft low-modulus silicone rubber with a Shore A hardness of 30 and an elongation break point of 1,200% — i.e., products made of this rubber can be stretched up to twelve times their original length without tearing and without losing their mechanical properties. On the other end of the range, ELASTOSIL R Plus 4001/80 has a Shore A hardness of 80, similar to that of a thermoset, and an elongation break point of 140%, making it comparatively elastic, flexible, and ductile. The cured silicone is suitable for sensitive applications in the food industry. The MeCaTeC family of advanced polymer coatings can help solve industrial maintenance and repair problems caused by premature wear of critical manufacturing equipment. They are suitable for anti-wear coating and repair of all metals, including difficult-to-weld metals such as Ni-Hard castings. The MeCaWear product line incorporates new elastomer-modified chemistry that improves resistance to cracking from impact or flex damage. These heat-resistant epoxy-based coatings are used for maintenance and repairs in baghouse, dust collection, and piping systems where the operating temperature is below 500°F. 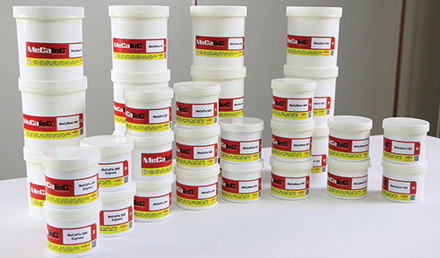 The MeCaFix polymers are designed for fast leak repairs and adhesive bonding, and their large packaging format and superior alloying content make them suitable for larger repairs and for precision machining. The MeCaCorr line of ceramic-based coatings extends the life of tanks, vessels, and piping systems by providing a superior protective barrier against corrosive attack in tough industrial environments, such as wastewater, hydrocarbon, and chemical services. The MeCaSpray pneumatic cartridge spray system is self-contained, portable, and lightweight for ease of use and control. Its two-component cartridge contains both resin and hardener, separated until the operator is ready to spray. A dual-stage trigger that allows for one-handed operation first directs atomizing air to the nozzle, which provides precise mixing of the components. The EchoTherm HPLC Column Oven Model CO20 is compact and easy to use. It is powered by a universal benchtop power supply and features simple controls, digital display of target and actual chamber temperatures, an injection counter for up to 1,000 column injections, and a 30-day timer with an alarm and an automatic-shutoff option. The oven’s temperature sensor is a platinum resistance temperature detector (RTD), and its electronic calibration is held in the system’s memory. The unit operates at 12 VDC and at temperatures from ambient to 90°C. The PID temperature-control software regulates temperatures to 0.1°C of the setpoint. The unit’s mounting clips hold columns up to 30 cm long that have either a 1/4-in. or a 3/8-in. dia. and have space for guard columns and fittings as well. Larger-diameter columns may be used by removing the column clips. The chamber, which measures 15 in. (381 mm) long, 0.9 in. (22.9 mm) wide, and 1.25 in. (31.75 mm) deep, is covered with a clear polycarbonate cover held by magnets for easy viewing and access to the column. A 14-in.-long silicone rubber heater under the chamber maintains a uniform temperatures throughout the chamber. The Model CO20 is compliant with UL, CE, and Compliance, Safety, Accountability (CSA) standards. EchoPod reflective-ultrasonic level transmitters are available in small and bulk tank versions with optional relay control, push button display, and software configuration. By orienting the transducer vertically, condensation runs off the unimpeded transducer face to deliver reliable level measurement. The reflective-ultrasonic level sensors work in condensation, which usually substantially degrades the measurement signal strength of ultrasonic sensors. The transmitters are available in four different models: UG01, UG03, UG06, and UG12, for various applications. The UG01 is designed for a skid, machine, intermediate bulk containers (IBCs), drums, or small waste sumps, and has a range of 4.9 ft (1.5 m). The UG03 is designed for small bulk tanks, day tanks, or waste sumps, and has a transmittance range of 9.8 ft (3 m). Both the UG01 and the UG03 transmitters have a cable termination, and output 4–20-mA and four SPST relay signals. The UG06 transmitter is designed for bulk tanks, neutralization tanks, process tanks, clarifiers, or waste sumps, and has a range of 19.6 ft (6 m). The UG12 is designed for large bulk tanks or large waste sumps and has an operating range of 39.3 ft (12 m). Both the UG06 and the UG12 have displays, a conduit termination, and output 4–20-mA signals. All of the models are classified for general-purpose liquid media use, made of polyvinylidene fluoride (PVDF), and have national pipe thread (NPT) mounts. A HART 7 position transmitter option for the TopWorx D-Series switchbox provides advanced diagnostic and monitoring capabilities that help plants in the oil and gas, chemical, power, refining, and other process industries improve operational efficiency and maintenance planning. 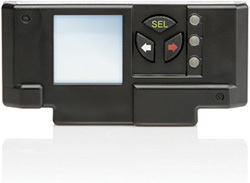 The switchbox offers all the benefits of the HART 7 protocol, such as complete process valve position monitoring and alarm setting. The transmitter’s easy-to-use LCD display and navigation buttons allow local five-point calibration for more-accurate setup on linear applications. The LCD display indicates error codes, valve position, device temperature, and calibration modes for easier setup, commissioning, and fault-finding. Advanced diagnostic capabilities include measurements such as valve position (i.e., percent valve is open/closed), open and closed dwell time, valve transition time (from open to close), and last open/close stroke time. The transmitter features an integrated vibration-resistant terminal strip for easier setup and better connective reliability. The compact design allows it to be easily installed in small spaces. A spare auxiliary input can monitor any dry contact switch over the network. Reliability can be further improved by pairing HART 7 with the company’s GO Switch proximity sensor. 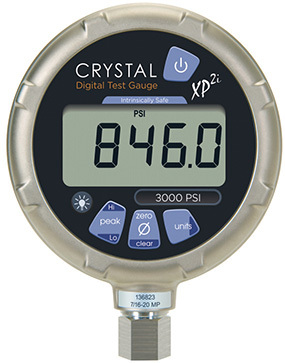 The XP2i pressure gage has been redesigned to include the DataLoggerXP upgrade, an automatic calibration-reminder system that reduces the possibility of using gages after their calibration dates and the potential of incurring regulatory fines. Manual recordkeeping is replaced by customizable on-screen alerts prior to the calibration due date, warning alerts on and after the due date, and the ability to lock the gage and prevent its use after the due date. The XP2i comes with an International Organization for Standardization (ISO) 17025 calibration report with test data at five temperatures. The data logger can record 32,000 data points and the gage’s high-contrast liquid crystal display (LCD) with a backlight is readable in virtually all lighting conditions. The gage’s rugged construction enables pressure recordings in harsh environments. It features an Ingress Protection (IP) 67 rating, a fast pressure safety valve (PSV) mode, custom engineering units, a leakproof pressure fitting connection, and a corrosion-resistant marine-grade enclosure. It has an accuracy of 0.1% from –10°C to 50°C. The easy-to-use system can handle pressures as low as 16 psia and as high as 15,000 psi. 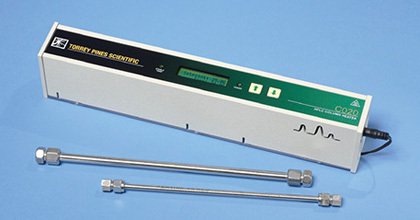 The gage contains active digital temperature compensation to correct the sensor for changes in temperature. The gage is suitable for use in the oil and gas, power generation, food and beverage, plastics, chemical, petrochemical, and pharmaceutical industries.